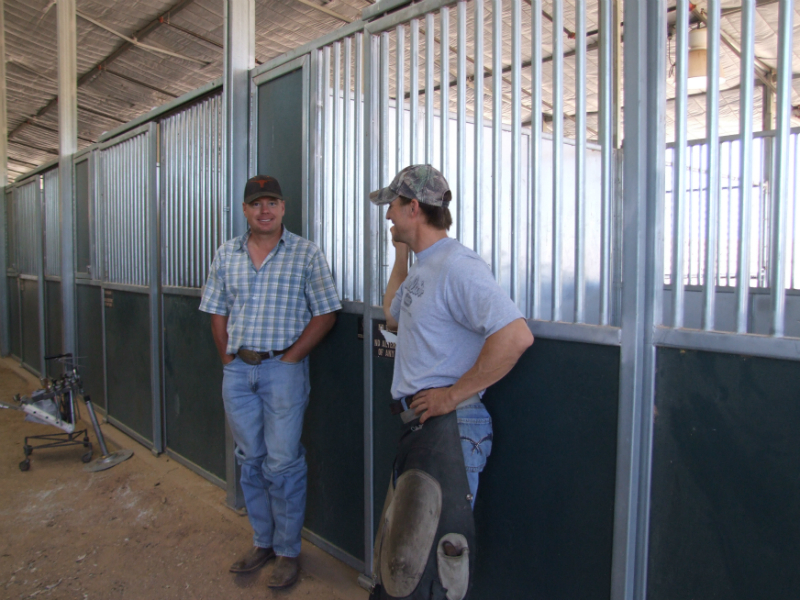 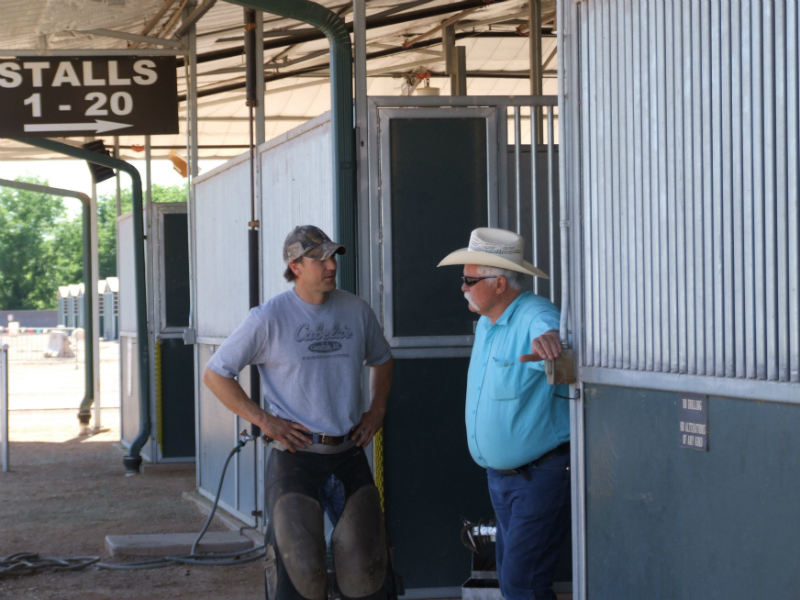 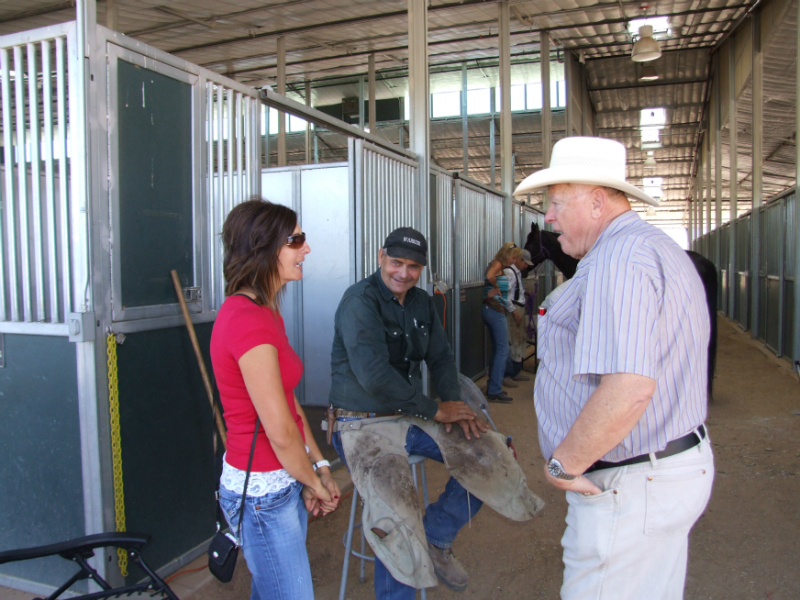 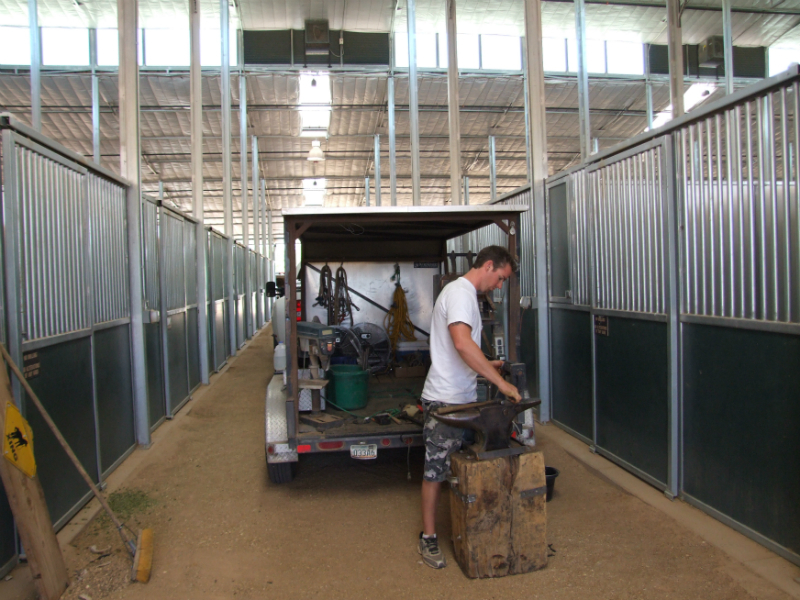 On April 28th, 2012 a group of area farrier’s held a benefit horseshoeing event at Horseshoe Park & Equstrian Center in Queen Creek, Arizona for one of their peer’s Jason Robinson. 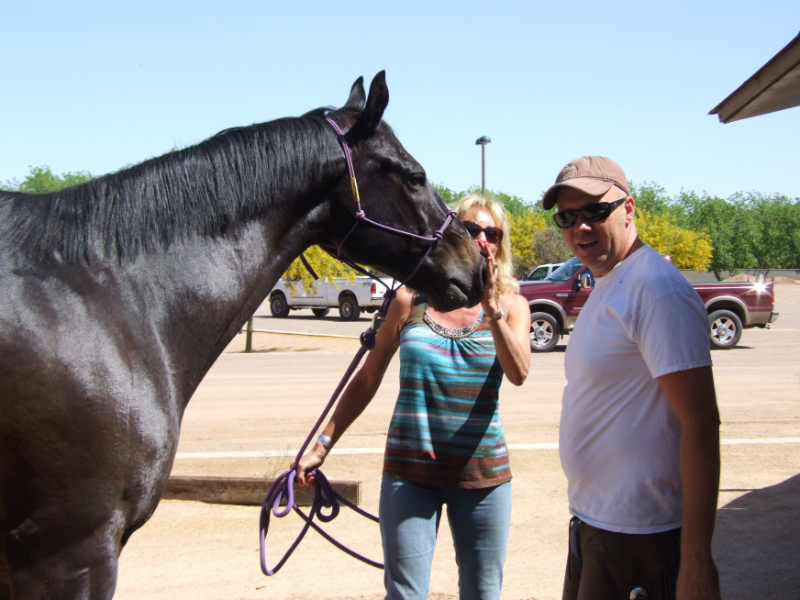 Jason was diagnosed with ALK+ large B cell Lymphoma in March of 2011. 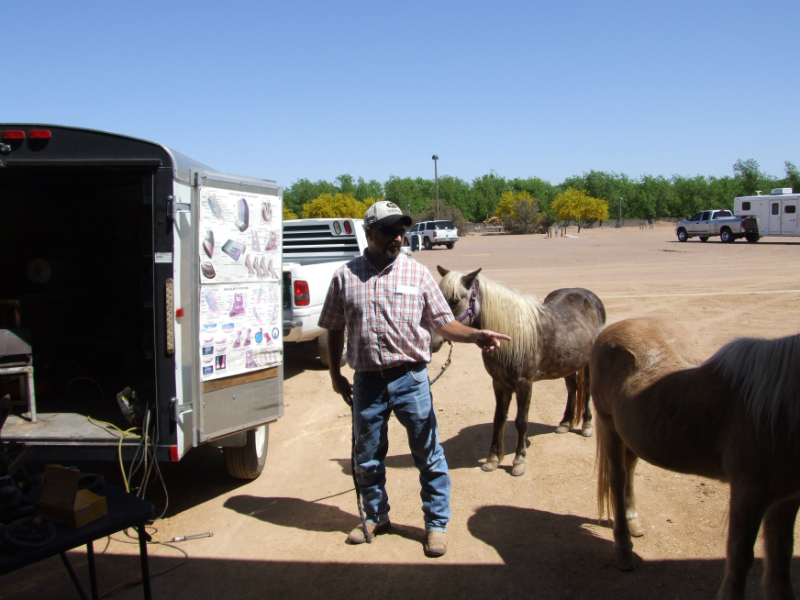 Over the course of last summer and fall he under went chemo and radiation treatments. 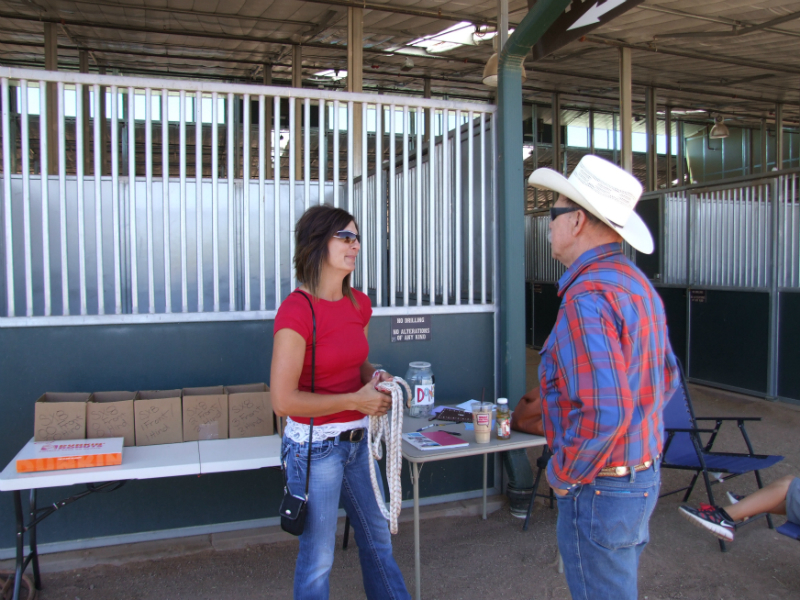 By the end of 2011, the lymphoma appeared to be in remission. 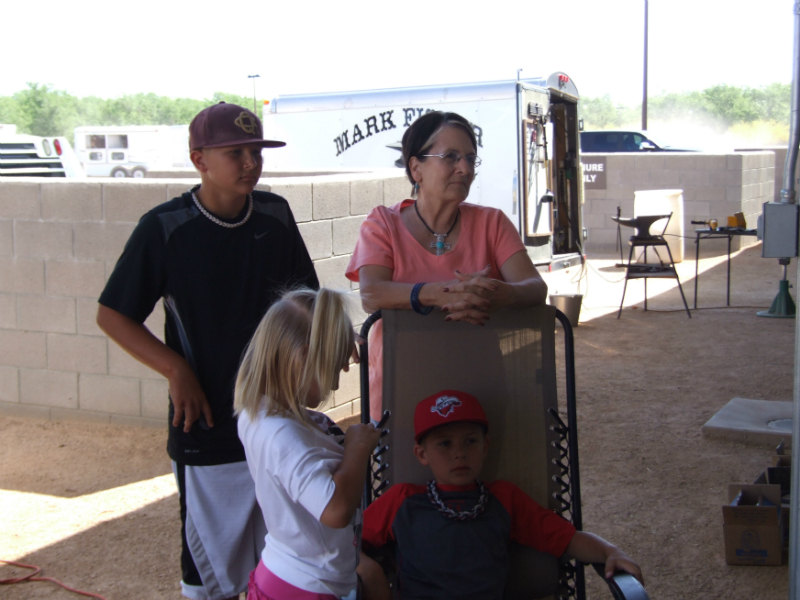 However, a follow-up PET scan in March revealed the cancer has returned. 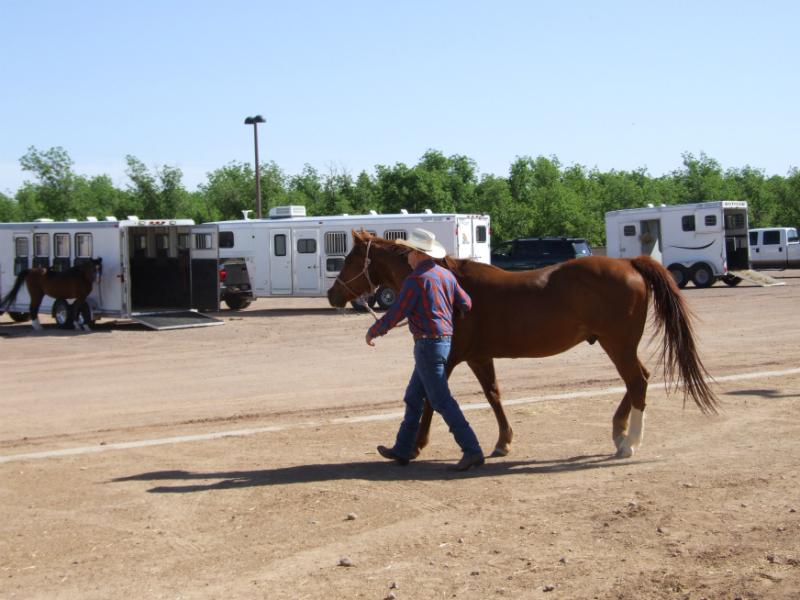 About 40 horses were either shod or trimmed. 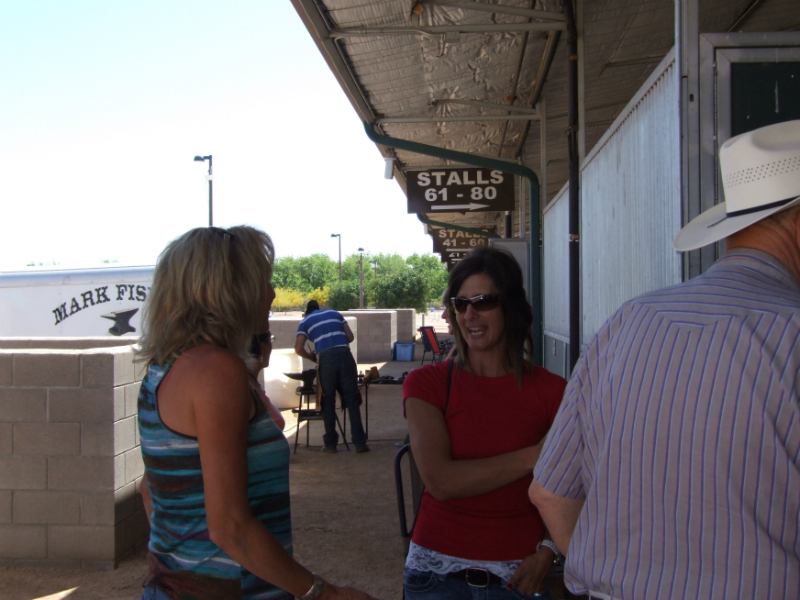 The proceeds of this event were donated to the Robinson family to help with lost inome and upcoming medical bills. 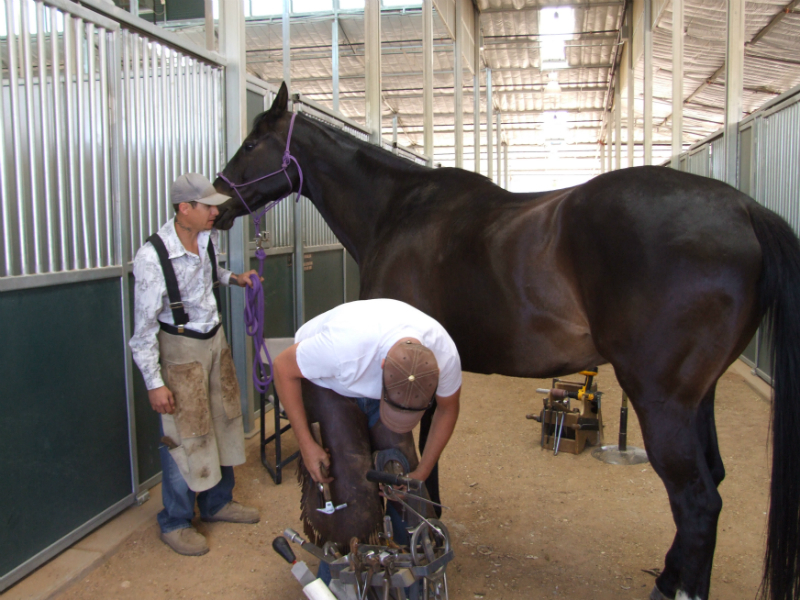 Additional horseshoeing events will be held as needed to support the Robinson family. 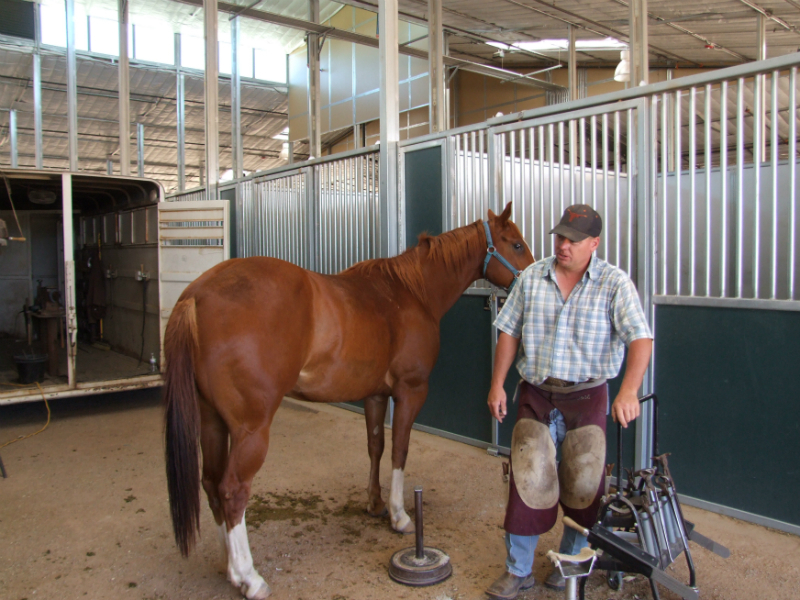 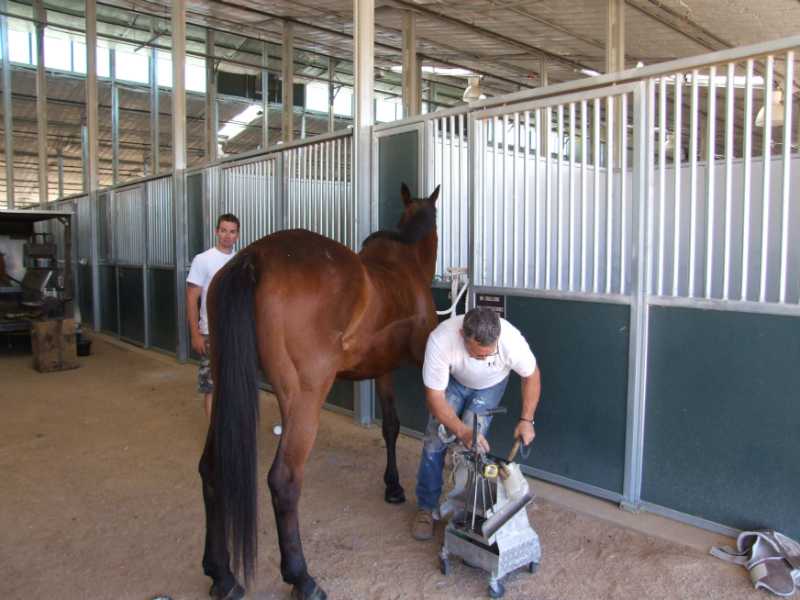 This will also allow the clientele from Jason’s horseshoeing business to continue having their horses shod and or trimmed on a regular basis.